Create an exotic ambiance in your bedroom with the GOA Solid Acacia Four-Poster Bed 160 x 200! 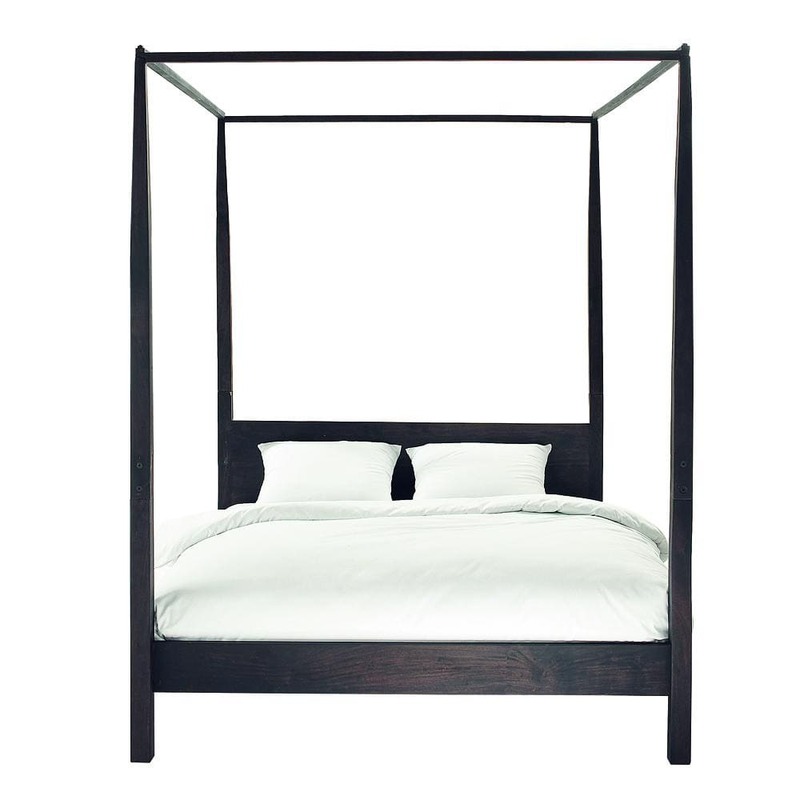 This four-poster bed offers an inviting space to ensure you sleep snugly and soundly. The wenge stain will transport you and help create a global ambiance. Our decor tip: opt for white bed linen and curtains for an understated effect! Slatted bed base recommended (not included). Mattress not included. Dimensions of mattress and box-spring to be used: 160x200cm.